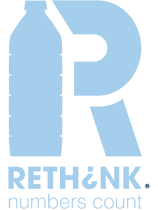 At least 15 water bottles avoid our oceans and landfills for every RETHINK shirt that is produced. Whether you are a socially conscious consumer, or driving a corporate sustainability program, you can lead an effort in diverting over 3 million bottles out of the waste stream each year. 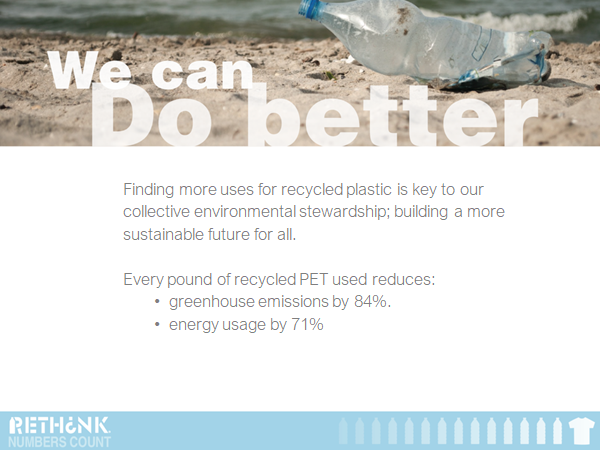 Our goal is to change the consumer perception of plastic as waste to plastic as resource. We do this by . . . creating high quality, desirable products the average US consumer will perceive as more valuable than what is currently on the market. 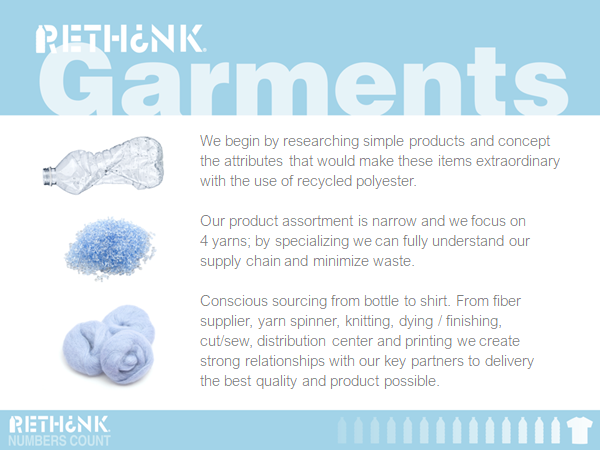 Thank you for your support of Rethink Fabrics since 2008. We are now a part of the Viriditas Holdings Company, and we are excited about what the next 10 years will bring. Stay tuned for more exciting things to come and follow us on Instagram!